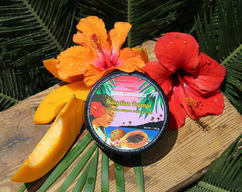 Enzyme Exfoliating Face Mask "Caribbean Pina Colada"
Pineapple is rich in vitamins and minerals that help keep youth and beauty of your skin, making it soft and velvety. 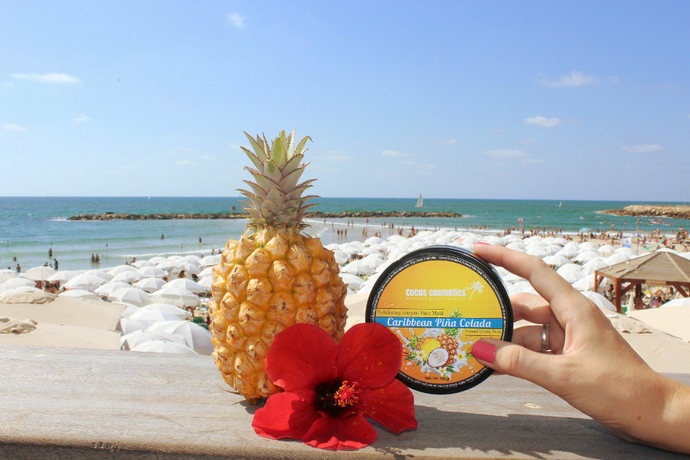 Enzyme exfoliating mask based on pineapple and coconut pina colada (coconut extra virgin cold pressed butter) cleanses the deep layers of the epidermis, it starts the process of regeneration. Pineapples contain Bromelain, an enzyme that has a rejuvenating effect on the skin. 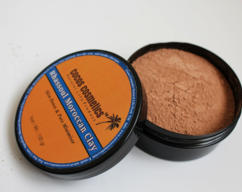 It helps to maintain the tone of the skin, slows the aging process. As well as a soft way removes dead skin cells, making the skin soft and smooth. Mask based on pineapple provides extra nutrition to the skin with vitamins and minerals and important component Bromelain. It has a refreshing and invigorating effect. Enzyme exfoliating mask helps smooth wrinkles, skin recharge energy and erase signs of fatigue on the face, cleans pores, stimulates the activity of sebaceous glands. 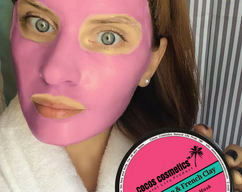 The mask should be applied on clean, damp face and neck for 20 minutes. Then remove part of a mask with a clean cloth and rinse with warm water, gently blot your face with a clean towel. Your skin will be a little bit coconut oily. After make some light massage allow the oil to soak into the skin. Suitable for all skin types. 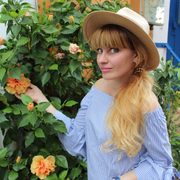 100% natural coconut butter, natural pieces of pineapple, dry coconut flakes, natural almond oil, Pineapple extract ( Bromelaine), vitamin E.
Weight 150g. Made in Israel. Store in the refrigerator, the shelf life of 6 months.